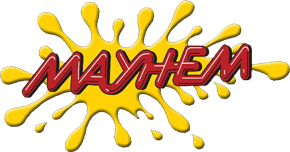 Mayhem Paintball London was established in 1987. As a family-run business, we pride ourselves on two things – our customer service and our fantastic, fun venues! Our Paintballing London site has been voted as the best paintball venue in the UK for 6 years, and has been accredited 5 stars by the UKPSF (UK Paintball Sport Federation). We came runner up for Best Party in the Star Awards 2014 – against competition from zoos, theme parks and other bigger organisations. We have 15 amazing paintball maps to play on, ranging from our wild, rugged woodland to our famous replica Call of Duty map! 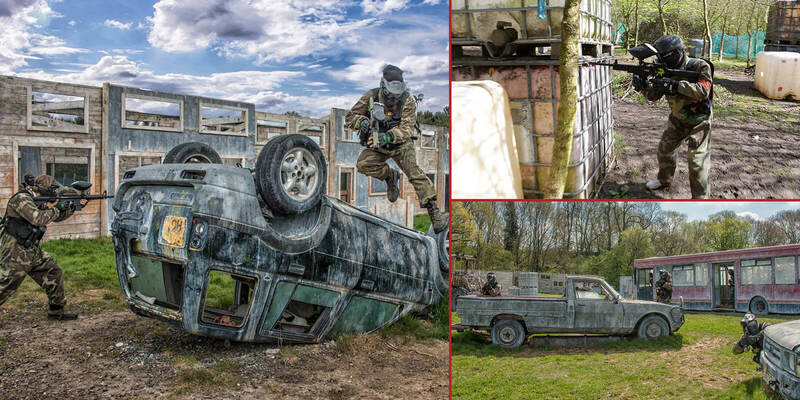 Our paintball game zones are some of the best in Europe and feature a real Russian 38-tonne T-55 battle tank, a number of warrior 432 Armoured Personnel Carriers, real helicopters, a real Jaguar Fighter Jet, huge planes, tanks, land rovers and dozens of decommissioned military apparatus & pieces equipment. Our Urban Playing field area is 70% under cover, ideal if the weather turns out bad. What sets us apart is our high quality of service – we have well-qualified, fully trained staff who love their work. Some of us have represented England in paintball competitions, and others have played professionally in America. Watch out for us on Fox Sports! Our equipment goes the extra mile too – we are the only paintball venue in the UK who use thermal goggles as standard. This means your goggles will be double glazed and anti-steamy every time you come and play with us. Mayhem Paintball London is the perfect venue for a stag do or hen party. Break the ice and get the fun started with an adrenaline-fueled game of paintball. Only minutes from the London Central Line and the pubs and clubs of London, it makes for an ideal day out. 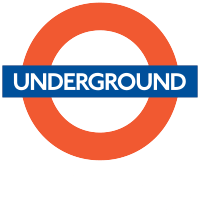 If required, we have 3 x 16 seater minibuses to pick you up and drop you off at the local tube station. We’re a great venue for children’s parties, family days out and school trips. We can cater for parties of any size, and can offer private games for over 20 players. Our low impact Mini Paintball Experience is ideal for children aged 8-11 years old and birthday parties. Our venue even boasts a heated party room, with highly trained staff who can supervise the children whilst you relax!